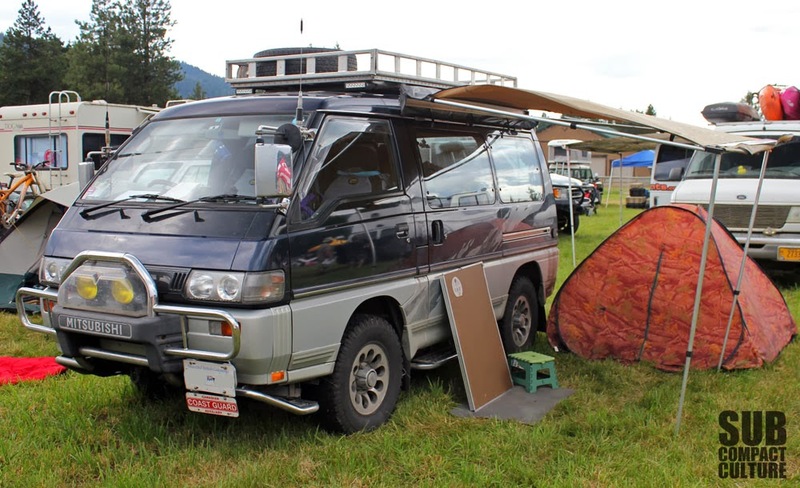 Mitsubishi Delica with 4WD and a diesel engine—a great compact camper. As I conduct my daily craigslist search for those vehicles that seemingly no one wants, I began to think about camping. We typically take our Suzuki Sidekick camping, since I can remove the back seat for cargo, throw stuff up on the roof rack, and I don't worry about it getting dented/damaged much. Plus, it's always fun to do some off-pavement exploring. But as my co-worker and I say on a regular basis, sometimes ground clearance is more important than 4WD. So I started looking up 4WD vans and other vehicles that might make cool campers. 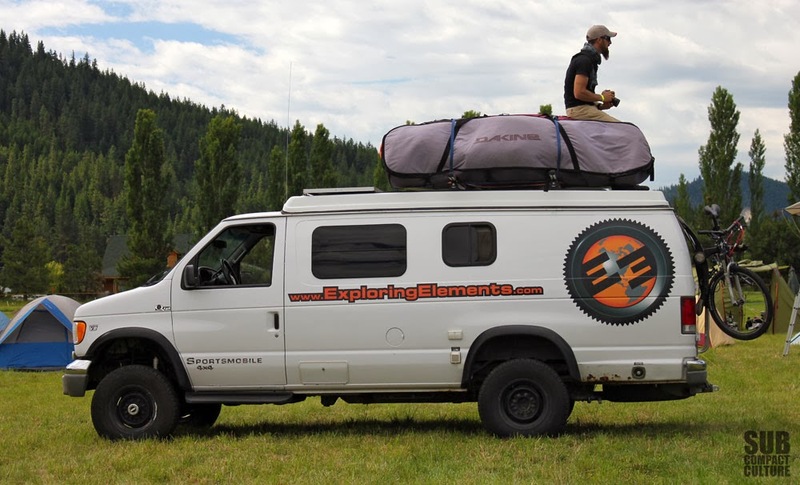 The Exploring Elements Sportsmobile van is big. However, if it's your house, it's pretty small. There are the big vehicles, such as Sportsmobiles and Quigly vans that are far from compact. That is unless you're truly traveling on the road all the time, in which the vehicle becomes your home—then it becomes a subcompact house! Frankly, I dream of owning a fully outfitted Sportsmobile van someday. Chances are I'd have to live in it, however, since new ones start at around $70,000. 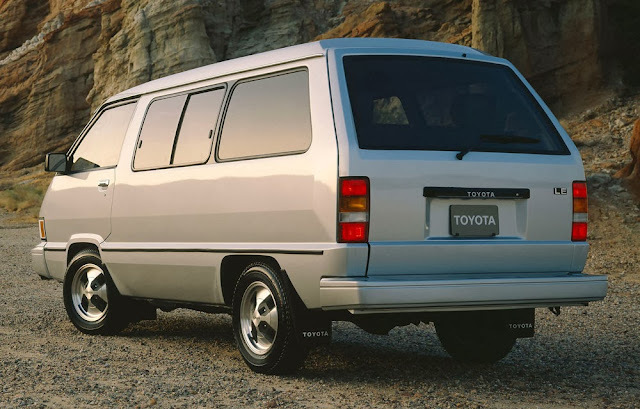 Full-size vans aside, there have been some interesting compact vans offered in North America, mostly in the 1980s and into the early 1990s. For starters, there was the ugly-as-sin the 1984-1989 Toyota Van (aka MasterAce in Japan). 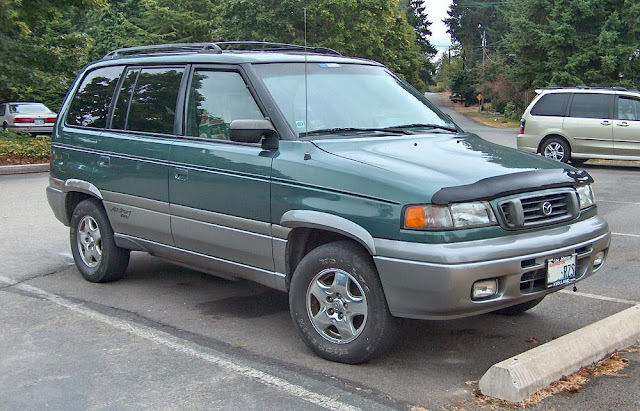 These puppies had a big front overhang, the engine under the driver's seat, but were available in RWD or 4WD (that's true 4WD with a transfer case) and could even be had with a manual transmission. In fact, many components were from the Toyota Hilux pickup. 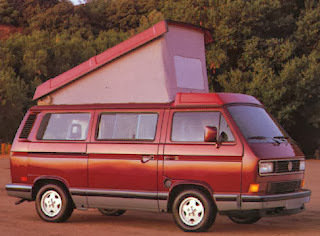 I never much liked the Van's styling, but recently thought they might make a cool camper. They're pretty hard to find, especially in good shape. There were windowless cargo varieties, too. 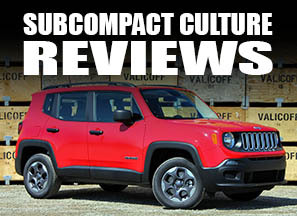 The 4WD versions are more expensive, but generally these can be had for very little money. Not sure how hard they are to work on though since that engine is located under the front seats. Since Toyotas often run forever and are cheap to fix, I'd love to find a 4WD version with a manual transmission. Would be a cool compact overlander. Rarer than the Toyota Vans, at least in the U.S., are the 1987-1990 Mitsubishi Vans. 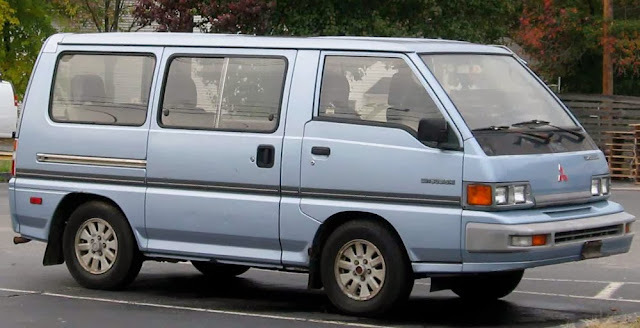 Sold everywhere else as the Delica, the Mitsubishi Van, as it was simply called in the U.S., could seat seven, had trick swiveling seats in the back, and always had an odd, albeit, special place in my heart. This is because I remember when they first came out, and thinking those swiveling rear seats would be so much fun on a road trip! Mid you, I was nine. You still see them from time to time. In fact, I think there's a dude here in Portland hoarding them. I think he's got four. Only available in RWD in the U.S., from time to time I spot 4WD models with Canadian plates (and Delica badges; see lead image), since Canadians can import vehicles from Japan that are newer than the U.S. (we have a 25 year import rule; Canada is has 15). They're popular with the camping and overlanding crowd from Canada and in other parts of the world due to the availability of the 4WD and a diesel engine. The Nissan Van was offered from 1987-1990, also. The vehicle got a bigger powerplant for our market, but that extra size (and heat) made it prone to engine fires. Nissan did recalls attempting to fix the problem, but wasn't able to do so. Nissan bought back the majority of the vehicles and crushed them. Good luck finding one. Then again, I don't think you'd want one. Mazda was late to the game, but came out with its MPV in 1989, and was offered until 1999. Early versions opted for a non-sliding door configuration unlike other mini vans of the time. 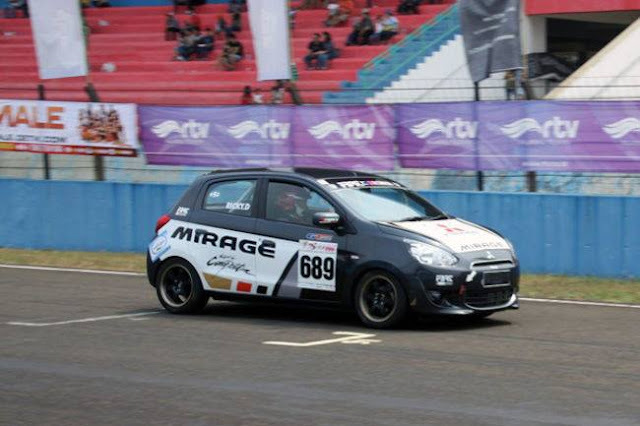 They were available with either an automatic or manual transmission, and could be had with RWD or 4WD, although there wasn't a low-range. The 4WD versions did have more ground clearance and looked beefier. The MPV even made Car & Driver's "10 Best" list in 1990 and 1991. It, however, didn't have quite the interior volume of other smallish vans. Of course, there is the ubiquitous Volkswagen vans from throughout history. There were the originals, which we used to call "hippy vans," which are air-cooled and are widely available on the West Coast. Their conditions range from terrible to amazingly restored, and will command values accordingly. Of course, there was the Vanagon (at left), which is the more modern Type 2 variant. Finally, the U.S. got the front-drive Eurovan, which was powered by either an inline five-cylinder or the VR6 engine. Probably the best-known camper vans, these could be equipped with the Westfalia packages that featured a whole host of amenities including stoves, sinks, cabinets, and of course, that pop-top roof. The model that commands the crazy-high prices is the Syncro. This is the 4WD version, which, despite their looks, are surprisingly capable off road. I've seen these things for $70,000+ dollars, especially when outfitted with a Subaru engine (the hot setup), off-road suspension systems, and all of the overlanding equipment one could dream of. They're super cool. The nice thing about all of these vehicles is that you can pretty easily sleep inside of one—no tent needed. I still think a Ford Transit Connect camper is a great idea (others do, too). While it doesn't have much ground clearance, there is a lot of space for a couple of people and some gear. The Honda Element is also a great candidate for a camper, and Ursa Minor makes a pop-top for the rig. So cool. Do you have a favorite camping vehicle? Let me know about it in the comments section. Hey Bryon, thanks for the post. Blogger doesn't automatically phrase URLs, so you can visit Bryon's site at http://www.exploringelements.com/about/sportsmobile/. Having owned both a '72 and '81 Westfalia and currently a '94 MPV I do like vans. I learned to drive in a '66 Dodge with 3 on the tree shifting. Lotsa road trips in that old van. Originally I bought the MPV cause it was cheap and I cycle/mc a lot so cars are not that important to me but turning it into a camper intrigues me, wondering if a 4x4 version is better even with mpg hit.